Got legs? 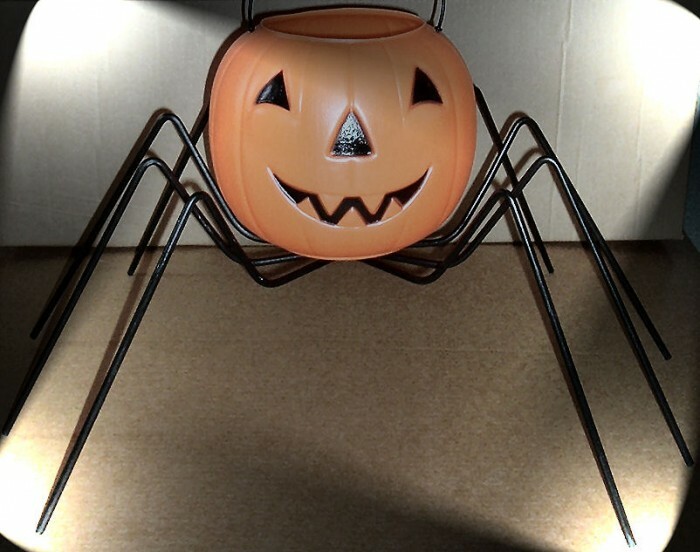 The Spiderlegs Pumpkin Stand makes your pumpkin look like a spider. It looks scary. 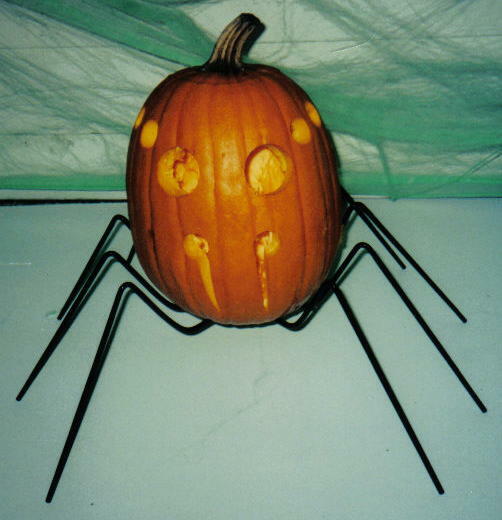 It keeps your pumpkin off the ground where critters and fungus like to nibble. Your pumpkin will last longer ! 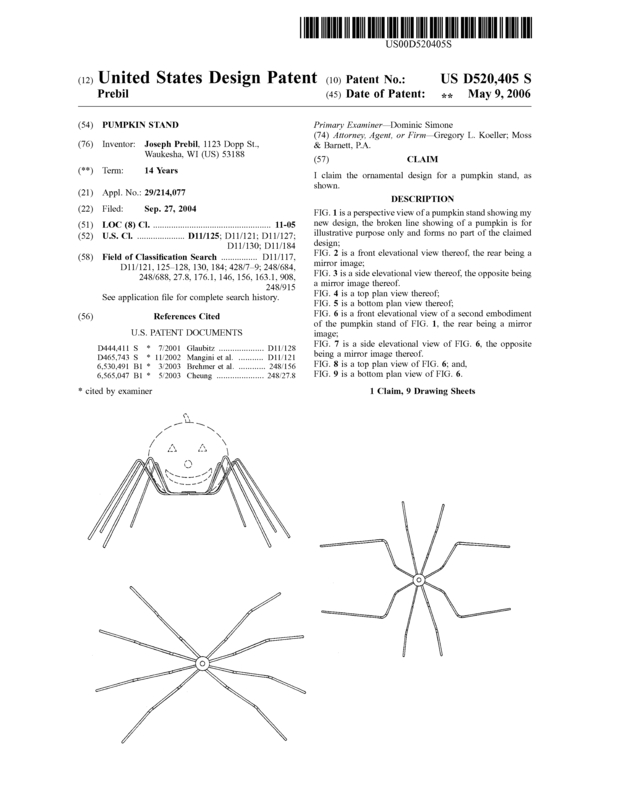 Page created at 2019-04-21 18:13:40, Patent Auction Time.